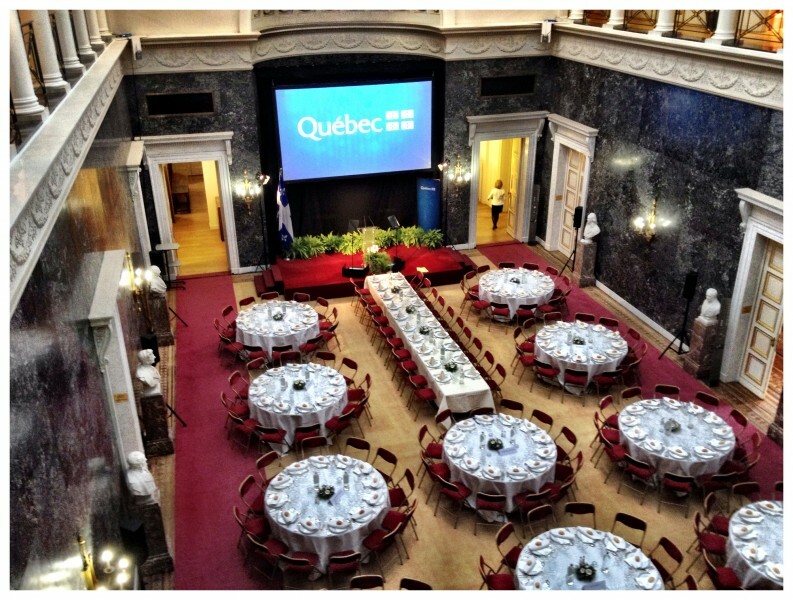 Last Monday Cuemaster took care of the audiovisual support during the lunch, attended by The Prime Minister of Québec, held at the Palais des Académies in Brussels. We provided a Barco projector and the screen. We took care of the light and sound set-up, as well as the speaker desk and a small podium for the press cameras. 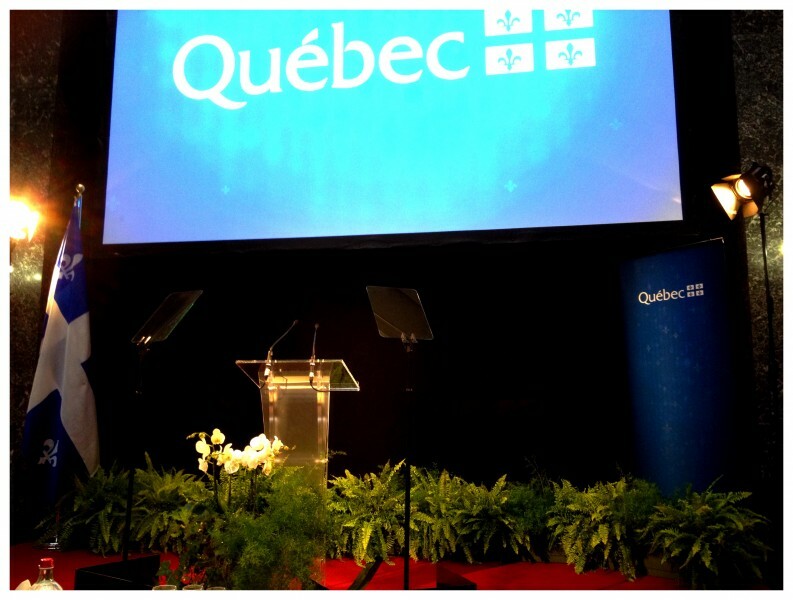 And of course we provided the conference prompter for the speech of the Prime Minister.